Learn how to follow-up protein diets with blood test results of BUN, Creatinine, and Uric acid. Earlier this week, a man came to the laboratory to do creatinine and blood urea tests, after asking him about the reason he testing for, “I relied on myself to apply a protein diet to lose weight myself. I measure the level of the BUN and creatinine every week to make sure it is within the normal range, because I know that the urea and creatinine will rise if you eat large amounts of protein.” he replied. From that point, I realized that many people must know how to use BUN and creatinine results to do their own protein diet. Target BUN level when losing or gaining weight should be less than 23 mg/dl. Target creatinine level should be less than 1.4 mg/dl. Uric acid shouldn’t exceed 6.5 mg/dl for men and women. How to overcome high blood levels due to protein diet? Drink a lot of water to neutralize high creatine intake and too much protein. 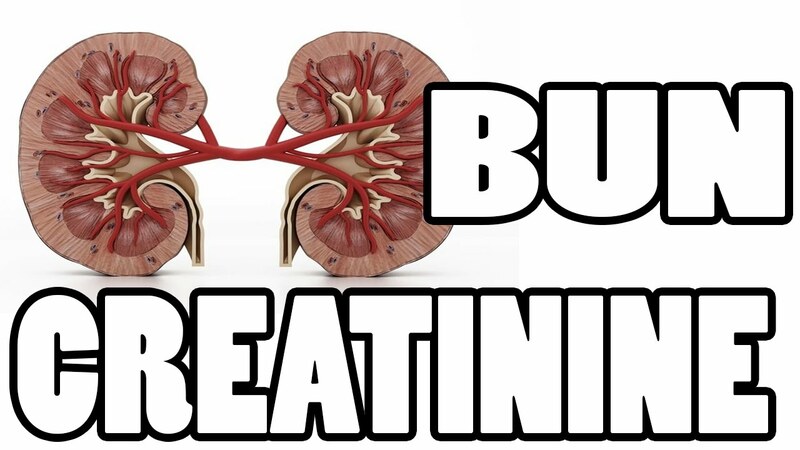 Adjust the amount of creatine intake according to your creatinine goal. Adjust protein content in your meals according to BUN ratio. Stop any protein diet plan if the GFR be less than 40, because it may be a chronic kidney disease. Setting the types and limits of protein diet. What is considered to be a high protein diet? On average, a diet consisting of over 1.2 grams of protein per kilogram of body weight is considered to be high protein. This amounts to: 56 grams per day for the average sedentary man. 46 grams per day for the average sedentary woman. For instance, a woman who is 130 pounds should get at least 48 grams of protein, which could look like 7 ounces of salmon or 7 eggs. Weight loss and losing obsession through high protein foods and less calories. How to weight loss by applying protein diet without kidney damage? The minimum I’d recommend is 0.8-1 grams of protein per pound of body weight. 60% reduction in obsessed people after using high protein diet, this happens by reducing needed calories per day to 441 fewer calories and decreasing the late-night snaking to the half. Nevertheless, they must set their blood test results at the optimum healthy ranges or they could experience kidney problems. Bodybuilders, runners, and athletes who is doing resistance training or taxing endurance exercise their tissues need extra protein to rebuild and repair teared down muscle tissue. 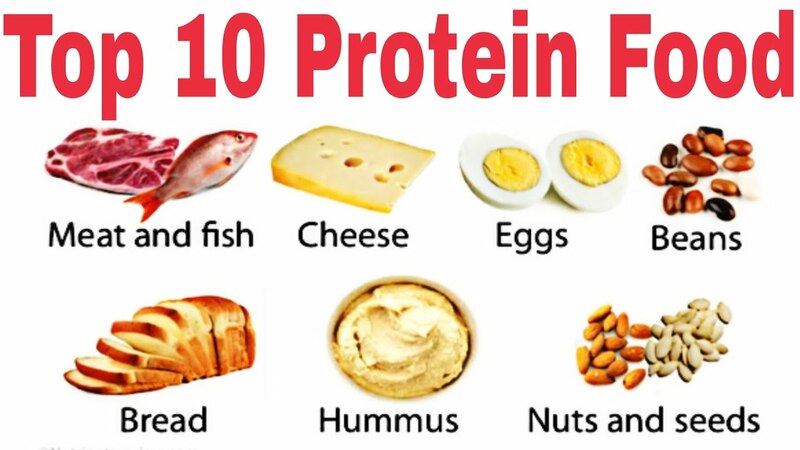 Recommended protein is 1.2 – 1.5 grams per pound of body weight (2.6 – 3.3 g/kg BW) per day. Excess protein supplements can cause kidney damage and kidney disease, thus elevate BUN and creatinine levels in blood test. People in middle age who needs weight gain with protein diets. Adults at about 50 at risk of the gradual loss of lean muscle mass by aging which has the medical term sarcopenia. high-quality protein in their diet can be beneficial to counteract the inevitable muscle loss. However, they must tone their protein rich diet to not damage their kidneys with high amount of protein intake, just let your goal to be normal creatinine and BUN levels. Also, elevated uric acid is another problem here, as the aging people can develop gout faster than younger adults. Most of testing is for kidney health and adequate dehydration after excessive protein intake. Measures the blood urea wastes that formed after the body consume proteins, kidneys filter out about 50% of the urea and retain the second half. After kidney injury or consuming more proteins the blood urea exceeding the renal absorption threshold and accumulated in the circulation which causes a serious medical condition called (toxemia or azotemia) which is the blood filling with toxic urea. Measuring a waste product in the blood called creatinine, which proportionally increased once the kidney has any abnormal function. Creatinine blood test results means how much does the whole kidney system work? Glomerular Filtration Rate test (GFR) comes from calculation of creatinine in a 24-hour urinary collection, and estimated (eGFR) comes from an equation of S.creatinine results, Age and race. eGFR blood test results tell how much kidney function you have. Uric acid comes from the breakdown of purines, which are found in certain foods, uric acid is carried out to the urine though the bloodstream then the kidneys, more protein in your diet means more of uric acid will be produced, high uric acid can cause gout. Normal Uric acid levels are 2.4-6.0 mg/dL (female) and 3.4-7.0 mg/dL (male). Measures how much albumin protein in the blood as the albumin is the greater proportion of blood total proteins that come from getting enough protein or calories from your diet and help the body to fight infections and regulate blood pressure. Low albumin results mean kidney, liver disease, a diet deficiency, or urinary infections. Is a medical lab test which is used for accurate food record. Blood sample and urine collection are needed to do nPNA test. nPNA test results tell the dietitian if you’re eating enough proteins. Is a measure used by a nutritionist to identify bad nutrition signs, the SGA score is made from daily diet, weight, fat and muscle stores in your daily diet. Low SGA result means you need a diet improvement. Haemoglobin test is a measurement of oxygen capacity of red blood cells which impact that the energy transference between tissues is doing well. Hemoglobin results less than 11.0 means you are anemic and have to take iron and vitamin supplements. Thyroid hormone T4 and T3 are responsible for protein metabolism, when thyroid gland is well functioning then you can set high protein diet safely, but when there’s thyroid gland malfunction you can’t increase proteins in your diet. Your doctor order PTH test when you have low calcium and phosphorus results which come from bone diseases. The high level of Parathyroid hormone instructs the physician to prescribe vitamin D to compensate for the deficiency caused by low calcium level, which stimulating parathyroid gland hypersecretions. According to NPD group research, most of Americans are striving to put more protein ingredients on our plates, we’re buying snack bars and even pasta with extra grams of the proteineous staff. We also sprinkling protein powder into yogurt, oatmeal, and smoothies. If you’re in need of protein diet to lose weight, gain weight, or prevent kidney damage just set normal blood creatinine and BUN to their normal ranges.